Ireland’s second city is first in every important respect – at least according to the locals, who cheerfully refer to it as the ‘real capital of Ireland’. It’s a liberal, youthful and cosmopolitan place that was badly hit by economic recession but is now busily reinventing itself with spruced-up streets, revitalised stretches of waterfront, and – seemingly – an artisan coffee bar on every corner. There’s a developing hipster scene, but the best of the city is still happily traditional – snug pubs with live-music sessions, restaurants dishing up top-quality local produce, and a genuinely proud welcome from the locals. 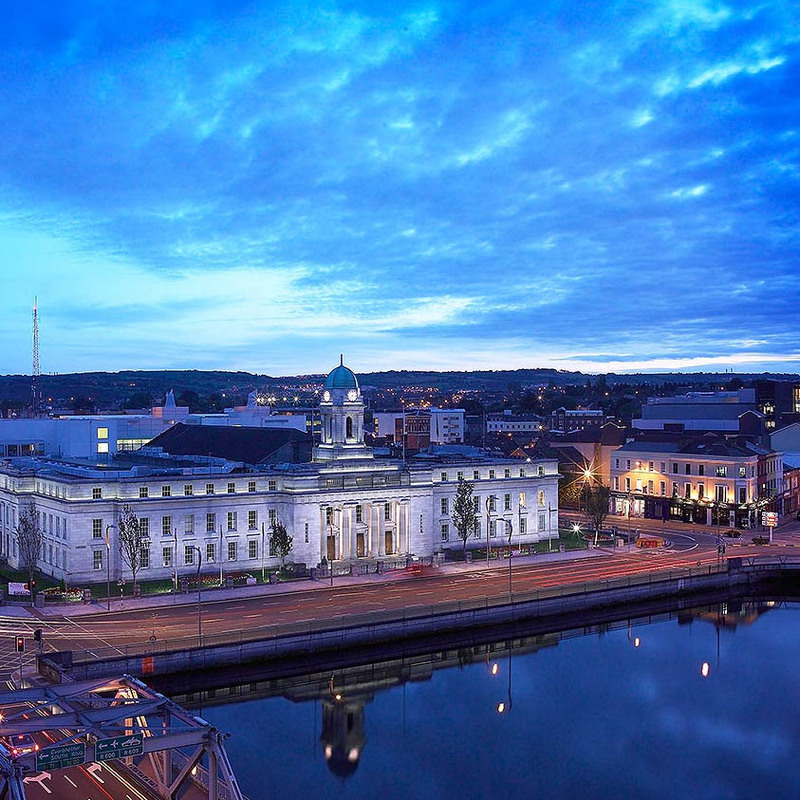 The compact city centre is set on an island in the River Lee, surrounded by interesting waterways and packed with grand Georgian avenues, cramped 17th-century alleys and modern masterpieces such as the opera house. St Patrick’s St runs from St Patrick’s Bridge on the North Channel of the Lee, through the city’s main shopping and commercial area, to the Georgian Grand Parade, which leads to the river’s South Channel. North and south of St Patrick’s St lie the city’s most entertaining quarters: grids of narrow streets crammed with pubs, shops, cafes and restaurants, fed by arguably the best foodie scene in the country. Ireland enjoys relatively cool summers. The daily temperature in July is on average 16 °C. Cork enjoys reasonable sunshine in August with unpredictable rain showers. These rain showers generally don’t last long, but it is recommended that you have an umbrella or light rain gear to hand. A small tip is appreciated for good service. Tipping is not usual in pubs and bars. Tip cabs 10% and porters 60c per bag. The currency in Ireland is the Euro. Major credit cards are widely accepted. From March to October, Ireland operates on Greenwich Mean Time + 1 hour. Include smart casual clothes for the conference. Smart attire is recommended for the gala dinner. Rainwear and comfortable shoes are advised.